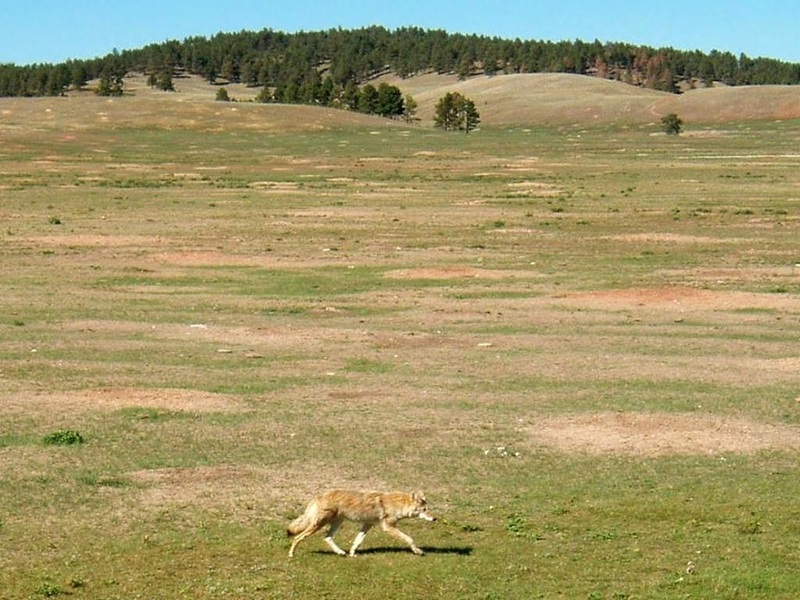 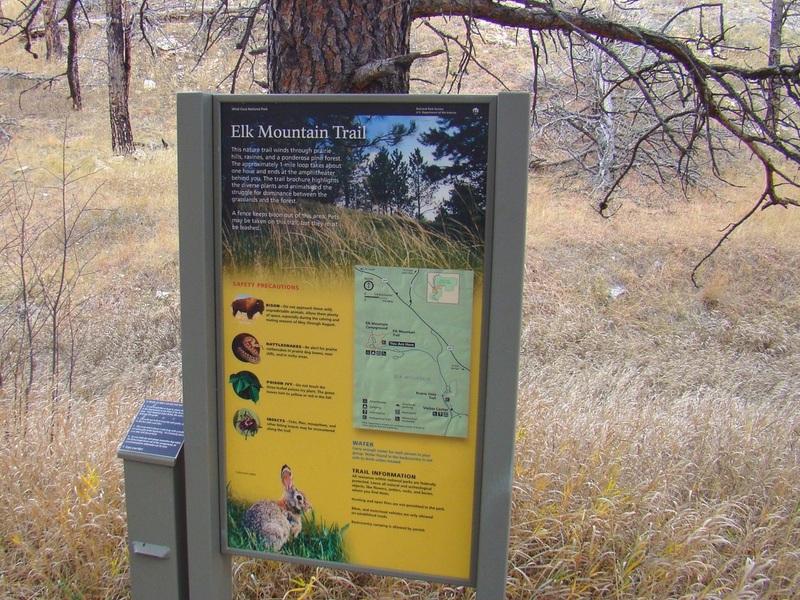 As always, there are some hazards to be aware of, particularly in the form of free-ranging buffalo and hidden rattlesnakes. 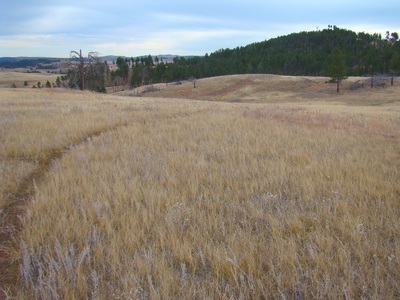 Ticks are possible here, but are not abundant. 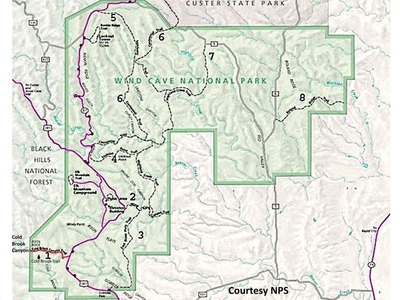 If you are careful you should find this an interesting hike. 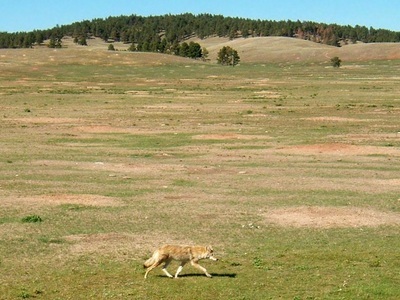 Wildlife viewing possibilities abound in this area. 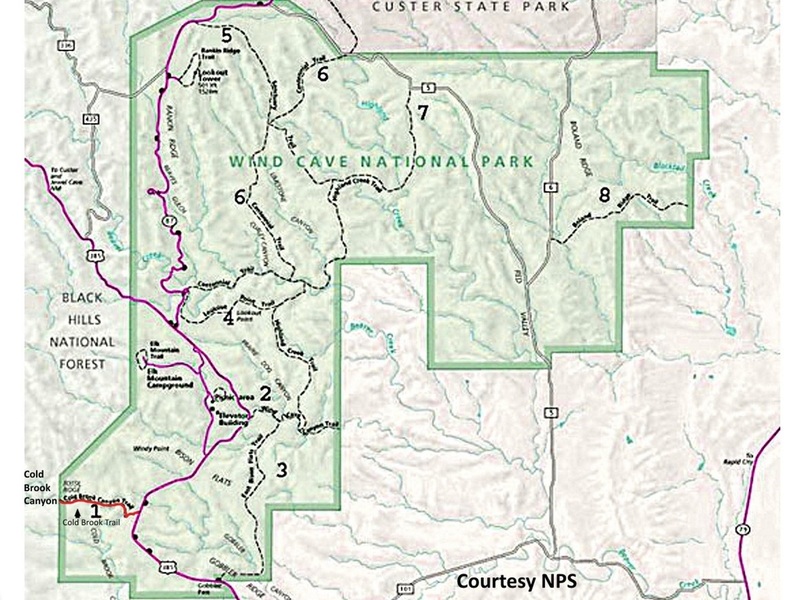 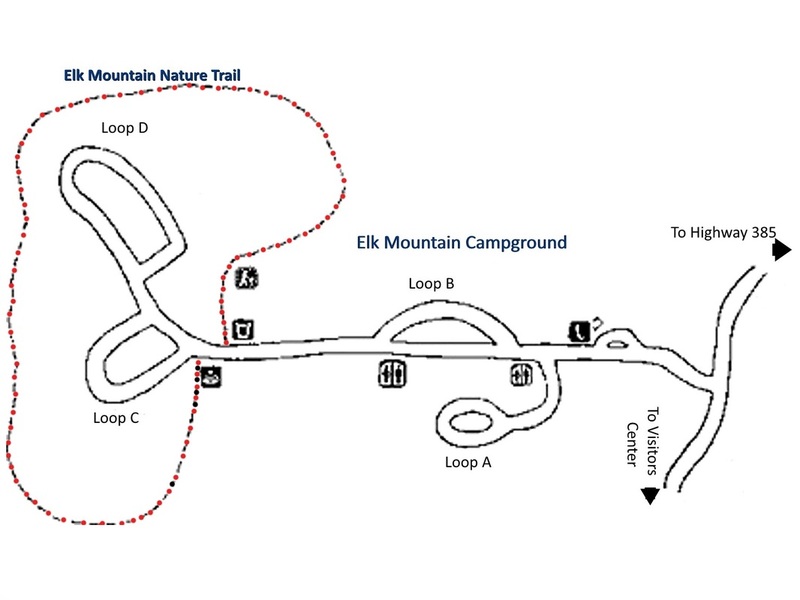 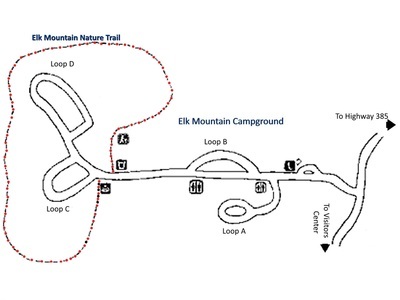 A park trails map for Wind Cave National Park, plus a map for the Elk Mountain Campground & Nature Trail are included among the photos below. Elk Mountain is in the distance beyond the trail. 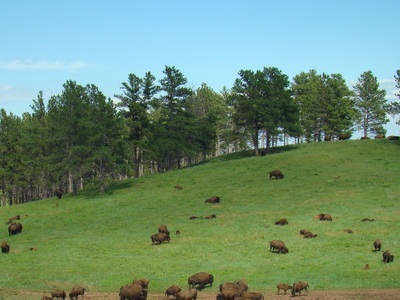 Some of the Wind Cave buffalo herd.